Finally Vol.2 has been released. Its been a long wait for me since I have picked up Vol.1 way back when. "Link must defeat evil at every turn in his perilous quest to help Princess Zelda! I'm flying though these chapters and the wait for the next volumes is borderline torture. 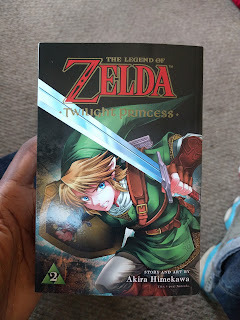 Put simply this is a Legend of Zelda manga based on the the Twilight Princess Story. There are some changes and additives to the story for character development a well as to fill out the story. 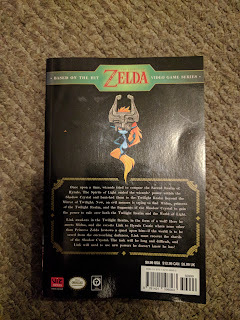 Volume 2 picks up directly where volume 1 left off. Link awakens bound in a cell within the Twilight Realm. He encounter a mysterious imp Minda who reveals to him that he is a Wolf. Soon after Link and Minda meets up with princess Zelda where she reveals to Link what happened to Hyrule. Overall the Story in this volume is good but the pacing feels a bit off in comparison to the previous volume. Its also feels like they spent too much time developing characters that didn't need much development. Man oh man, I loved the art style from volume 1 and Vol.2 seem to improve on that. A lot has happened in this volume and so I actually had to read it twice to get a better understanding. Actually reading this volume made me go back and read Volume 1 as well. I will probably read them both again while I yearn for volume 3. 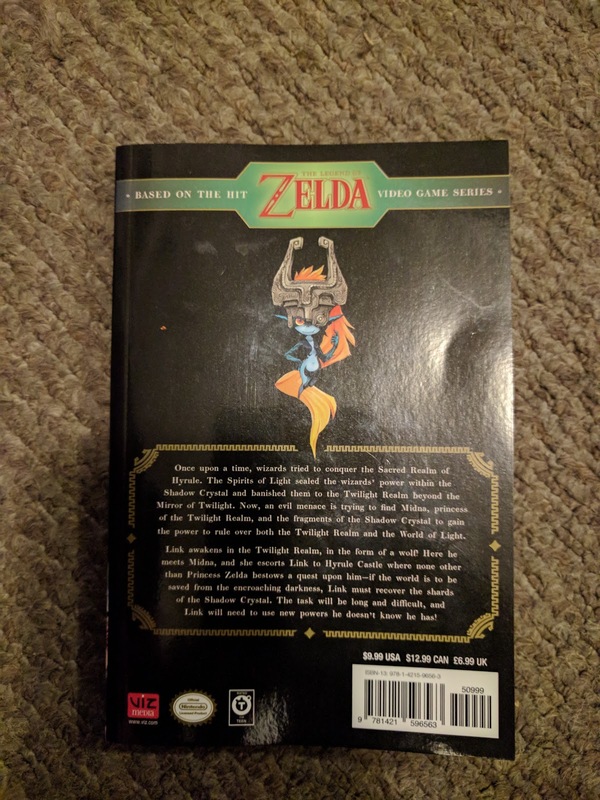 There is no excuse, If you loved the Legend of Zelda Twilight Princess game you should pick up the manga for $10 once every couple of months. Here is a tip... If you have Amazon Prime it will be even cheaper than that. I love this, and there is only a few things that can make this better. 1. they can release volumes more frequently, and more importantly they can make an Anime adaption of this Viz Media can take my paycheck now =D. Regardless I highly recommend this Manga to both Zelda, and Manga fans.